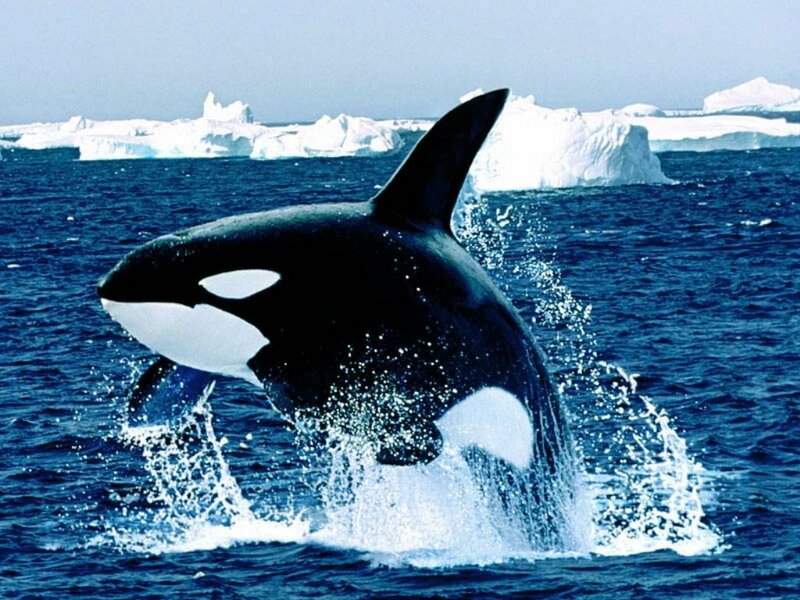 Orcas – In the Antarctic, Killer whales live amid pack-ice, but they are said not to extend beyond the ice-line in the Arctic ocean. The Orca exhibits a great tolerance for varying temperatures. This is one of the reasons they enjoy a worldwide distribution.